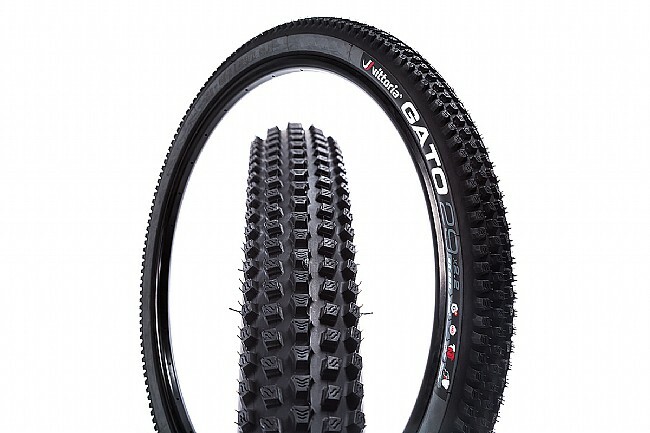 The Vittoria Gato G+ TNT Tire is a no-compromise race tire, aimed at riders who demand grip and low rolling resistance in wet conditions. The circumferential channels cut into the terrain, and guide debris away from the center line. Snow-tire derived siping keeps the knob flexible at the surface, allowing for maximum traction on wet roots and rocks. Wrap this tread in the 4C Graphene compound, and you get a very fast tire, that can hold it’s speed over slick terrain. 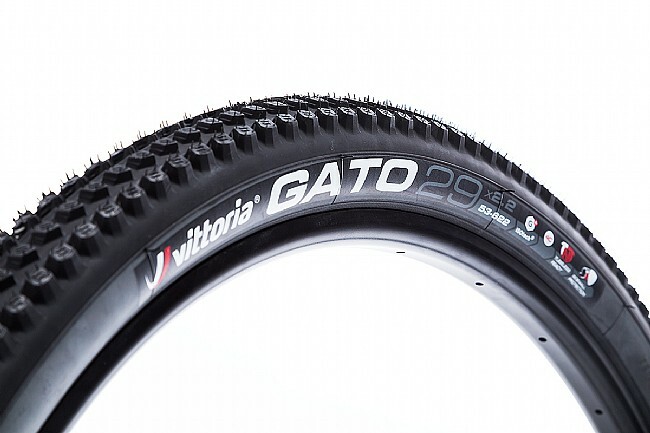 The Vittoria Gato G+ Tire features Vittoria's TNT Tubeless Ready technology. Folding bead. 29" x 2.2". Claimed weight: 800g.